The Model F are a series of compact, robust, high capacity, in-line strainers. The Model F strainers have been fitted with the means to give an alarm (either electrical or visual alarm) when it’s strainer is about to reach capacity and needs to be either rinsed or cleaned. The strainer kan be easily disassembled from the connected system, through its flanged connections. The strainers have been designed for use in low pressure water mist systems, water spray systems and other such systems usually utilizing other VID Fire-Kill products. 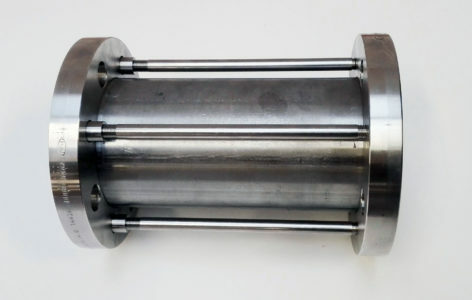 The Model F strainers have been tested with full contamination load in water to the International Maritime Organization (IMO) clogging test standard for water mist systems MSC 1165 and IMO MSC 265(84). The Model F strainers can be used in hydraulic systems with high requirements to water quality and component reliability. 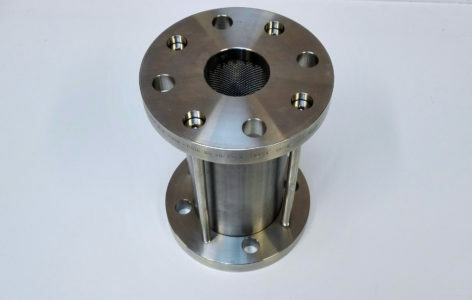 Additionally, the Model F strainers are made in stainless steel (316) making it a great match for systems with high requirements to corrosion resistance.